I’ve enjoyed several young adult fantasies by Sharon Shinn and reviewed one of them here http://wp.me/pYql4-iQ. 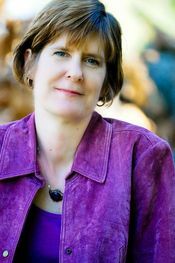 Before she published her first YA book, Summers at Castle Auburn, in 2001, Shinn had a solid reputation as an adult fantasy writer. I recently finished her first novel, The Shape-Changer’s Wife, which won the Locus award for Best First Fantasy Novel in 1995. Shinn was nominated for the John W. Campbell Award for Best New Writer that year. On top of these honors – all well deserved – long time readers of this blog will know I am fascinated by stories of shape shifters (check out three posts I wrote on the theme in Feb., 2011). With the optimism of youth, Aubrey brushes the warning aside and sets out. Even when local villagers react to Aubrey’s request for directions with narrowed eyes and cold responses, his hunger to learn drives him on. Shinn is masterful in building a sense of menace, which begins the moment Aubrey steps into the 3″ of dust that cake the entry way of the shape-changer’s house. It builds when he meet the uncanny servants – Orion, covered with hair except for his eyes and nose, and Arachne, a woman who fights a loosing battle against the dust, while muttering curses and shooting everyone hostile glances. Above all, Aubrey is fascinated by Lilith, the shape-changer’s wife, whose emerald eyes seem to see right through him, who is silent and self-contained, and doesn’t react to anything like any other woman he’s ever met. Shinn’s presents magic as matter-of-fact. Shape-changing sounds dramatic to Aubrey, so he is dismayed when Glyrenden hands him piles of books on anatomy and science and makes him practice hours of concentration exercises. “How can you change into something you don’t understand in all of it’s details,” the shape-changer asks. In Shinn’s books, magic is seldom dramatic. More often, it forms an atmosphere like the felt danger offstage in a Hitchcock movie. By the middle of the tale, Aubrey is hopelessly in love with Lilith, even as he perceives that “She seemed to be fashioned from the idea of a woman, and not to be a woman at all.” This and other related perceptions lead him to pierce the secret of Glyrenden’s house – why the townspeople fear him, and why no bird or animal will come anywhere near the wizard’s dwelling. Aubrey learns that the only way to undo Glyrenden’s “barbaric spells” is to kill him or become a better wizard, and even if he succeeds, the spells may prove too strong to break. With measured pace, Shinn has brings us through her imagined world to one of our oldest stories, that of tasting the fruit of the Tree of Knowledge. The Shape-Changer’s Wife is also a love story, but told with a kind of restraint that is rare in the fantasy genre. You seldom see titles by Sharon Shinn on the shelves of Barnes&Noble, and never her YA titles. At first glance, her books are not the stuff of blockbuster series and lucrative movie deals, though I can see them as moody, gothic dramas. Shinn is a wizard in her own right. Beyond the pleasure I’ve gained from six of her novels, I return to them often to study the masterful way she can weave character and atmosphere into stories I cannot forget. This entry was posted in Authors, Book Reviews, Books, Fantasy, Writing and tagged book reviews, books, fantasy, fiction, fictional characters, writing. Bookmark the permalink. Such a well-worded and tantalizing review! Thank you for sharing…I will SO be checking this out! Nice review and interesting concept. I will add it to my loooong TBR list.